A Saturday off of soccer left me some time to play with fabric. Saturdays will soon be filled with fencing, soccer and basketball games. Labor Day weekend is a nice respite as we gather our strength for the school and activity-filled year ahead. I played around with some Sunkissed fabric by Moda. I was able to make two baby quilts with my stash of it, and I think there are may be one more quilt in it, or at least a nice batch of burp cloths. 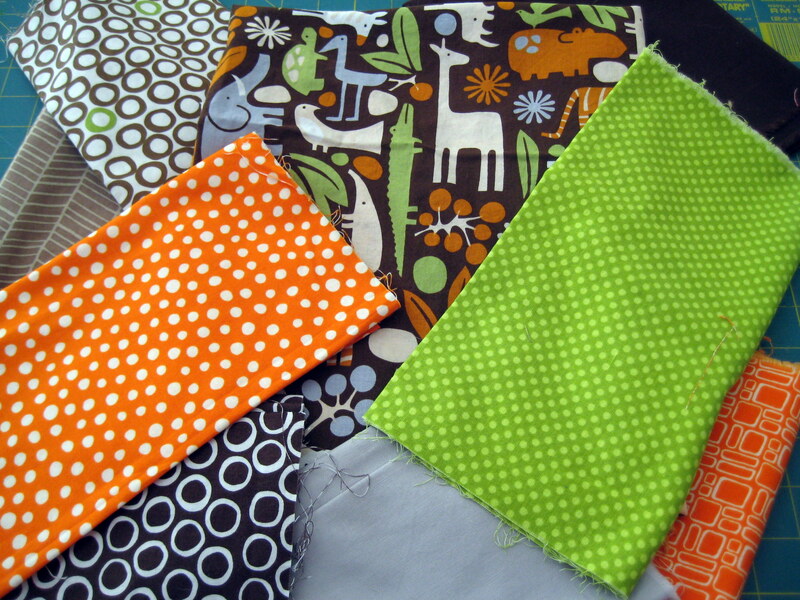 I also raided my stash to start on a boy baby quilt to get started on this week. And finally, a charity quilt for my guild that I didn’t piece, but I did quilt and bind. I love this part of my guild. You can contribute in any way that you want: do the whole quilt, just piece the top, just quilt an already pieced top, just do the binding, quilt and bind. You get the idea. And this guild, which is huge, donates about 700 quilts a year. It is an awesome thing to be a part of. I usually pick up about three small lap size quilts each month just to practice my free motion quilting. I love handwork, so I don’t mind doing the binding either. They also have pillowcase kits and I love to do those too. Just easy-peasy sewing and they go to so many good causes. The Girl got a great curly girl haircut here. It is hard to be a very curly-haired girl in this world of flat-ironed hair, but she is trying to embrace her curly self. Lastly, have you seen Sparrow magazine? I just discovered it through Mary Beth’s blog, and it is a wonderful, free, online magazine for inspired, deliberate living (their words). The have sections on Body, Mind, Nest, etc. I enjoyed the first issue very much, I will continue to read through the articles this weekend. First up, your daughter’s hair is gorgeous. I would have killed for hair like that when I was a teenager. 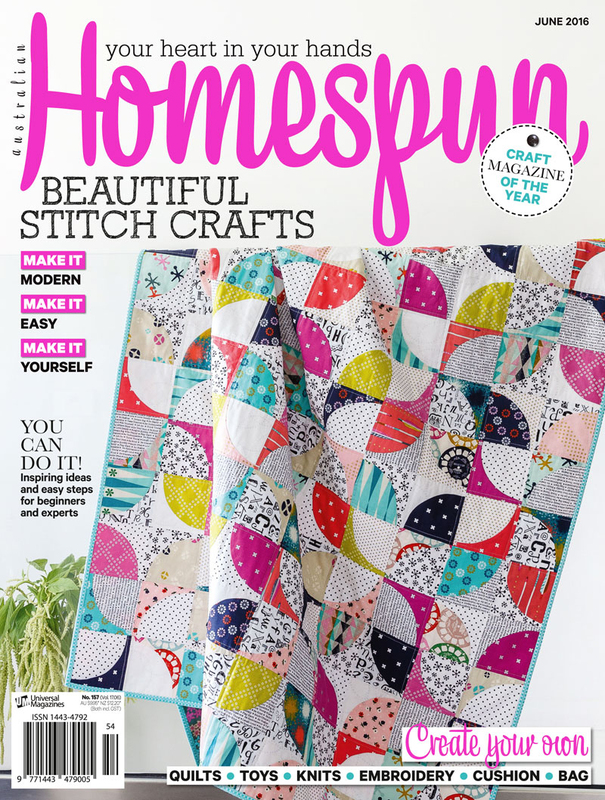 Charity quilts sound like a great idea! We don’t have anything like that here in Australia that I know of. I know that there is knitting for the homeless and for premature babies, but that is all I have heard of. What a wonderful thing to do. Those Sunkissed fabrics are lovely. I especially love your second quilt picture. 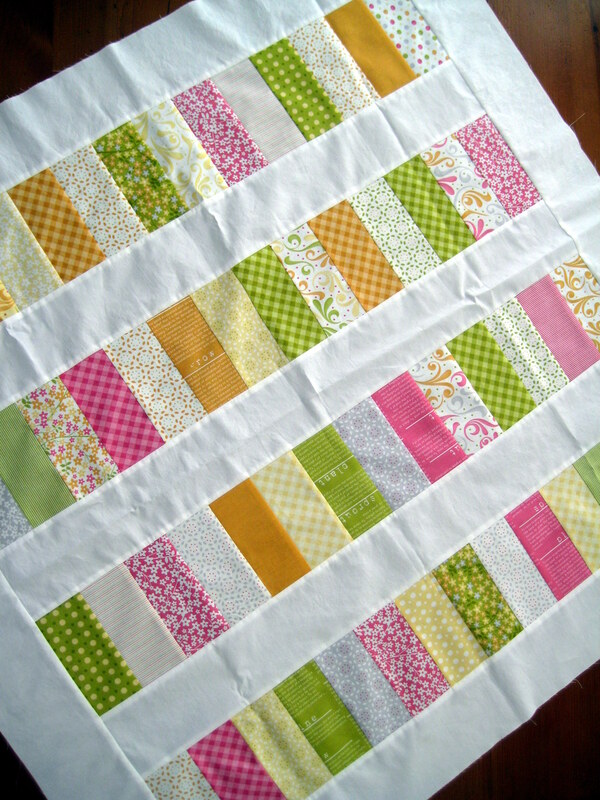 Simple quilts are my favourite. Also, I hadn’t heard of Sparrow magazine. I’ve already added it to my favourites to look at later. Thanks for the link. Thanks- you have a great week too! Thanks for the kind words about the quilts. 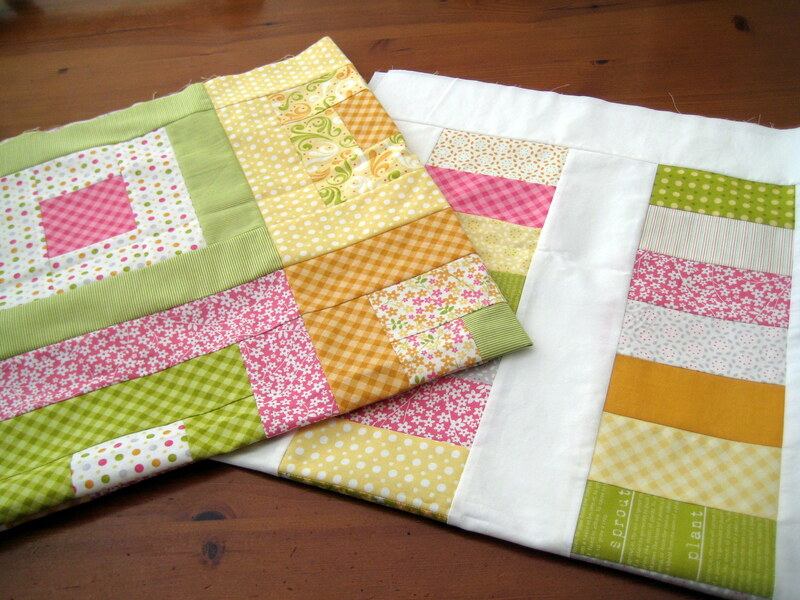 I love simple quilts too. thanks for the comment on the basil. I guess I didn’t realize I could dry it too! 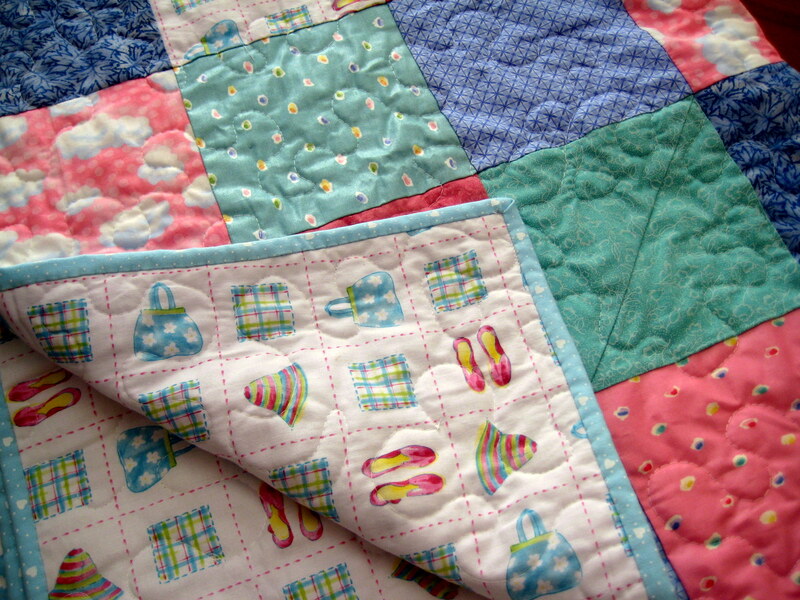 Very pretty baby quilts! And your daughter is beautiful – I love curly hair! Your quilts are absolutely lovely! Sunkissed indeed. I too love your daughters hair. Be sure to tell her that some of us with stick straight hair long for fun curls. Thanks so much for the praise and link to Sparrow. I’m so glad that you found it through the amazing Mary Beth. More so, I’m thrilled that you like it. We are loving the adventure of putting it together.